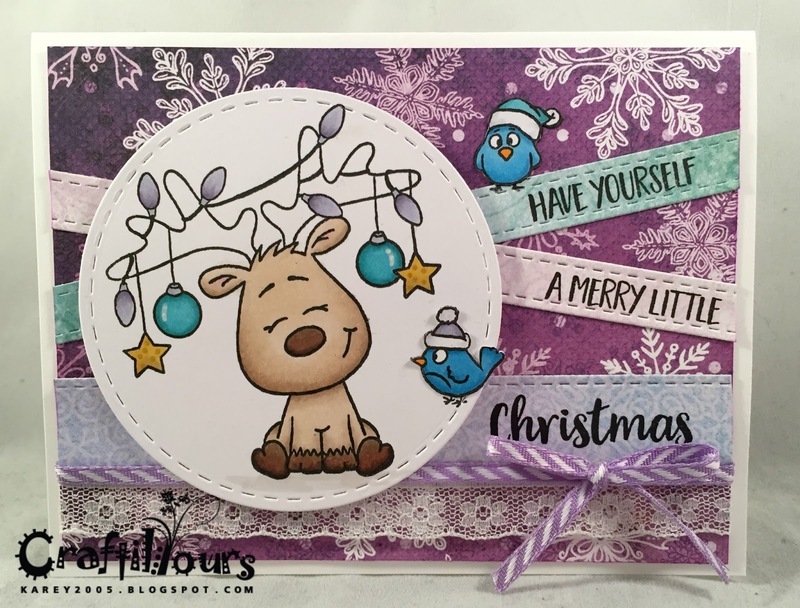 Karen N here from Craftily Yours! 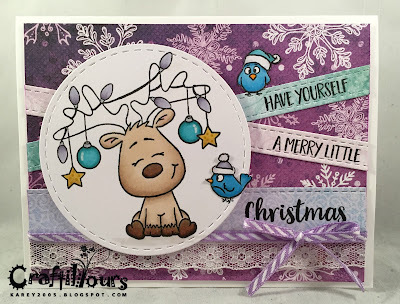 I'm excited to be guest designing for Gerda Steiner Designs today using the new Little Christmas Reindeer stamps. This little sweetie is SO cute! The sentiment comes in three different sections. I LoVe the versatility of being able to stamp them any which way I want! Those little birdies are also part of the set. I fussy cut them out. Cool Gift Tags from Erika at Scrappika!